Traditionally, the process for replacing molars with dental implants spanned several months, and required additional procedures. Dr. Eugene F. Morris and Dr. Armando A. Gama can extract molars, and perform immediate molar implant placement to replace them the same day at their Missoula, MT, office. Our safe, streamlined implant placement procedure is convenient and predictable, and can eliminate costly procedures associated with traditional implant methods. For the right patients, it can allow them to immediately experience all the benefits of dental implants. What are Immediate Molar Implants? Immediate molar implants are dental implants that are placed immediately following the extraction of a molar. They are small titanium posts that are inserted into the jawbone to replace lost tooth roots. Your jawbone will fuse to the implant over the course of one to three months through a process called osseointegration. The distinguishing factor of immediate molar implants is that you can receive your implant posts immediately after extraction, without waiting for a bone graft or ridge preservation to heal. This innovative treatment not only saves you time and money, but also allows you to experience the benefits of a restored smile sooner. Because conventional implants are not suited for immediate placement in the molar extraction socket, we use the Keystone Dental MAX® Molar Implants. These implants fit the natural architecture of the molar socket, optimize the v-shaped valleys between teeth, and maximize bone preservation. Your doctor will extensively examine your teeth and gums to ensure your candidacy. He will take x-rays, and other dental images to review your jawbone health. On the day of surgery, you will be given anesthesia for your comfort. Heightened anxiety is understandable, and we offer sedation and conscious sedation to ensure comfort for all patients. Once you are comfortable, your dentist will begin to extract the molar. After the molar has been removed, he will clean and prepare the treated area for implant placement. Your dentist will create a space for the implant, and then carefully insert it into the jaw. After your implant is secured, the area may be packed for proper healing. Your dentist will clean and refine the treated area, and review after-care instructions. You will then spend about three months healing before we will place your permanent, customized restoration. You should be in good general and oral health and have sufficient jawbone density to be considered a candidate. You should also be committed to a proper oral hygiene regimen, as implants require regular upkeep. Candidates should be non-smokers, or be willing to stop smoking for the duration of treatment and healing. It is important to disclose any medications you are taking, as these may affect healing. Instead of undergoing ridge preservation and waiting three to six months to heal before even receiving your implants, you can receive an implant the same day as extraction, and have a permanent restoration placed about three months later. 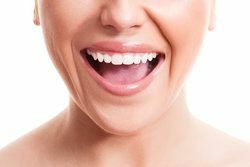 Dental implants offer several unique benefits over any other type of restorative treatment. You can enjoy further advantages with immediate molar implants, such as a shorter treatment timelines. Instead of undergoing ridge preservation or bone grafts and waiting three to six months to heal before even receiving your implants, you can receive an implant the same day as extraction, and have a permanent restoration placed about three months later. You can also enjoy a lower treatment cost. Because you will not need to undergo multiple procedures with additional anesthesia and sedation, your overall cost can be lower. Damaged or missing molars can cause significant pain and can lower your quality of life. To learn more about how immediate molar implants can restore your oral health, contact our office today.